Our newest season collections have arrived and we are so excited to bring our inspiring styles to your wardrobe! As the weather gets cold and dreary, there’s no reason for your wardrobe to – we’ve got the hottest pieces to warm you up as well as keep you stylish, with trend-focused cuts, must-have essentials and effortlessly cool fabrics like leather and velvet making for edgy yet elegant dressing. We’ve got timeless sophistication and lasting style covered in the latest looks from Sara! This season is all about feeling as fabulous as we look, and there’s no better way to do that than with cosy knitwear and fashion-forward, easy-wearing styles. Work to weekend wear is sorted with luxurious textures in exquisite colours, cutting-edge layering and timeless silhouettes. Indulge in captivating new homeware pieces perfect for any interior! Make your home an indoor retreat as the weather gets wintry. From the couch to the kitchen, we have the key pieces to inspire timeless yet refreshing appeal. 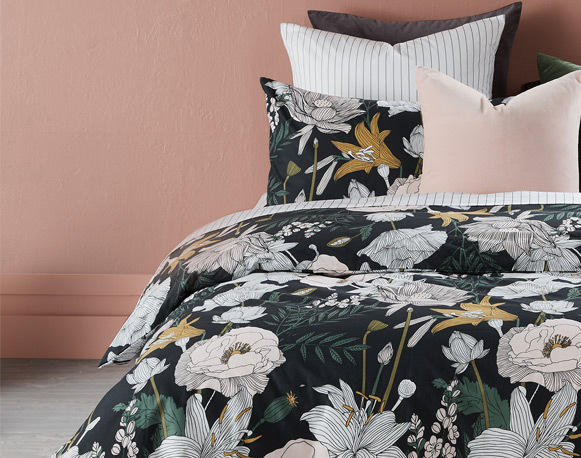 Everything from sumptuous textures, gorgeous patterns, to updated classics will uplift the bedroom, along with our new range of modern décor that will make your home a masterpiece. Opt for effortless elegance this winter and beyond with our brand-new European styles! Our European team have been hard at work curating the perfect pieces for your new-season wardrobe, with key elements sure to make an impact the minute you walk into the room. Make a style statement in striking prints and patterns, or turn up the heat in sleek styles straight from the streets of Paris.